Because of you, I got acquainted with lentils, and discovered that they are really good. So, my next recipe was “Jacobs Lentil Soup” and even though I really don’t like cilantro, I hoped that cooked, they would be fine. And it was delicious. Thank you for helping me with a whole new way of cooking. Fantastic Pauline! Love introducing readers to new approaches in the kitchen. I had this recently in the Nazerath viilage along with the chicken. The food there was the best!! Do you by chance have the recipe for the chicken? I found out after we left that they had the ingredients listed on the table, but didn’t see it while there. Sorry Rachael I have no idea. I’ve been to Nazareth Village before, but I’ve never tried chicken there. I tried your recipe. It was great. The only thing I couldn’t find was the hyssop, so I used parsley. Since someone else in the comments asked if it’s a good recipe for a crockpot, I can tell you it is, but it takes about 8 – 9 hours on low. I made it to for a chilli and soup cook-off at church and included an info sheet talking about your research. Was pretty good. Neat to know others out there intrigued by the idea of soup from Torah and Bible. Thanks for doing the work for me. I found sumac but not hyysop. Hyssop is available from Amazon. did you add the barley and lentils at the beginning and then 8-9 hours on low? Putting Essau’s desire for Jacob’s red lentil stew in context, Essau stalked&killed Nimrud the ‘mighty hunter [in your face] before the Lord’ and fled for his life, chased by Nimrud’s remaining retinue&bodyguards&expert trackers. I could have made the same mistake as Essau and no longer look down at him. Oh my.. this is delicious!! I have a love hate relationship with cilantro, but I wanted to stay true to the recipe and threw it in. So glad I did! The combined aromas are heavenly! Cooking on the stove as I type this. Just waiting on the barley… quite impatiently. I keep stealing spoonfuls! Feeling Esau’s pain right now! Thank you so much for this recipe! Im not Jewish but have always loved the Biblical story of the lentil stew since early childhood ( you can tell I like to eat!). Years ago a Jewish friend mentioned bits of mutton strips might have been tossed in the original? In any case, none of us were there but thank you for the research that went into this. The idea is that it could be anything, really, but was most likely red lentils. Various archaeological evidences and such go into the theory of this stew. My favorite idea is that Jacob was not a hunter. His brother Esau was the hunter. So, it may have been vegetarian. You notice that Esau doesn’t really want to eat it, just have a bite, as though he doesn’t really like it. However, it may have had mutton because that is not something obtained by hunting, and the family was quite wealthy with lots of sheep. This also could be why Esau doesn’t like it much, considering they probably had mutton quite often. Thank you for this incredible recipe. Regarding the possible source of the red color; fresh wild sumac is bright red. If sumac was used in Ya’aqob’s (Jacob’s) recipe I would imagine it was picked fresh and would certainly make the stew red. This sounds very likely, thanks for the info. I was going to suggest that red peppers, which are from around the world ( i guess ) make things red, but i like your idea. Love the recipes on this site! 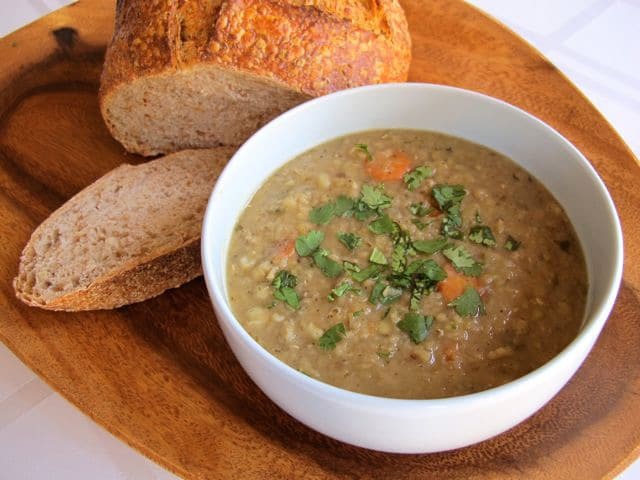 So tasty and easy to follow.. one question with the soup, would you wash the lentils and pearl barley first? Legumes and whole grains can sometimes contain small stones and other impurities. The rinse allows you to sort through them to make sure that they are pure and clean, with no residue from the fields. Awesome! I’ve been looking for a tasty lentil recipe for quite some time. I’ve tried many; this is by far my favorite. Thanks for your effort. I wasn’t exactly dead on though… I wasn’t paying attention and using curry instead of cumin. It was an unintentional change, but tasty, nevertheless. Next time I’ll be more careful, haha. I made it in my school cooking class! It was awesome! 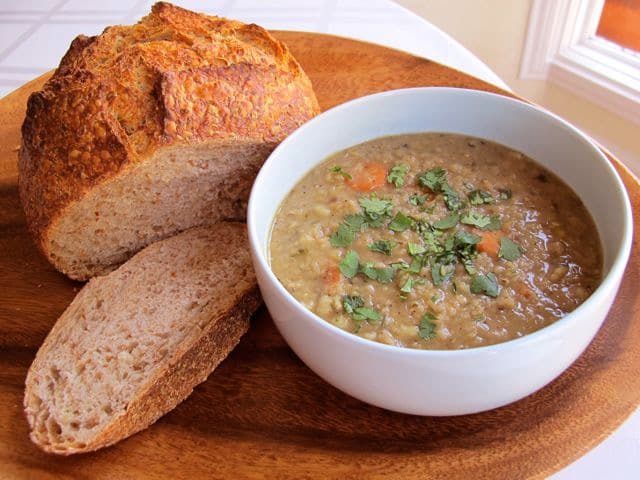 This is the best lentil soup I have ever made… thanks for the recipe. I’ve made it several times now – always with subs for lack of ingredients, but today I made it closest to “as written,” and I liked it the best!! I never have barley in the house (though I want to start using it), so I subbed bulgur wheat, and I always sub green/brown lentils for red – even though I like to cook with red lentils. I used a 10 oz bag of frozen mirepoix for the veggies and omitted the cilantro (I don’t like it), and kept all the seasonings as written, including the sumac… I love sumac. Thank you for your recipe. I never had a good lentil recipe until this one. Very interesting about how the Jews saw lentils & how that lentil soup/stew was eaten during mourning the death of family & even friends going back to the death of Abraham over 4000 years ago! The red was the red lentils that were just beginning to cook & ole Easu had to wait some though lentils do not take as long to cook as some other legumes, but maybe if the lentil soup or stew would have been ready Easu may not have sold his birthright & that having to wait a little more could have been the key-factor to sell his birthright The only other red would have been adding beets to the lentils & the beet juice coloring everything else red like “borsht”(beet-soup)! Beets seemed to be native to that region but I doubt Jacob put any in! It was that the lentils were red to start with & just starting to cook when Esau saw & smelled it but having to wait being extremely hungry showed his true sensual appetite, & him being an impatient man even marrying pagan women & rejecting the righteous women like Sarah & Rebeka! Red lentils cook to a light brown in 20-30 minutes. If Esau had valued his birthright properly, he would have waited another few minutes until the lentils were cooked. Eating the pottage while it was “red” means he did not display the foresight, patience and self-discipline to be a good leader. Possibly another scenario that in addition to him coming in & seeing the raw/uncooked or half-cooked red lentils in the pot & also smelling the beginning cooking of them & maybe having to wait being impatient made him sell his birthright! However it is possible his hunger made him “irrational” like my own father sometimes when he was hungry, he would get mad because dinner was not yet ready, Easu may have wanted those red lentils “RIGHT NOW & I DON’T CARE IF THEY ARE HALF-COOKED OR UNCOOKED”!!!!! Just saying! I teach Sunday school in my church here in Poland and tomorrow is my Jacob and Esau lentil soup story, so the soup is now in its simmering stage on my cooker. Keep your fingers crossed! I hope the kids will like it. Why don’t you peel the carrots? Hi Anna, Tori’s assistant Ashley here! 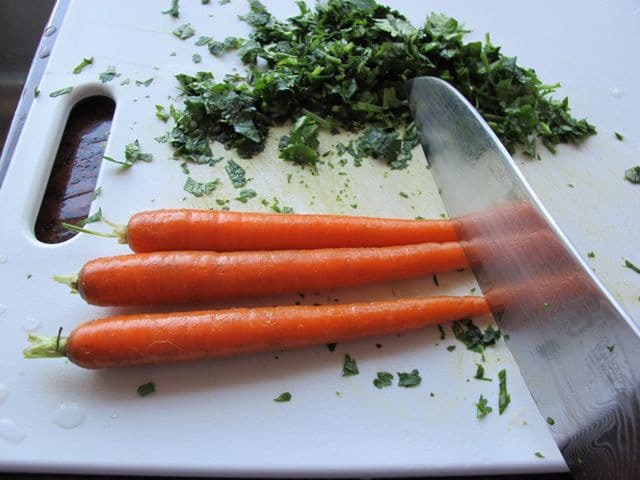 There’s no need to peel the carrots in this recipe, the flavor will be the same. And they didn’t have peelers back then, so I guess it’s more historically accurate too! I love this recipe. What about the addition of dried fruit such as apricots? We’re beets used in ancient times? If so the use of beets might impart a red color and an added flavor. Just wondering. Thank you. Hi, Tori’s assistant Ashley here! We haven’t experimented with any of those additions in this recipe, however they do sound tasty! Let us know if you try them out. I just wanted to report on our experience with this wonderful stew. I am the chef for a Baptist church and after making this at home and having my girls (6 & 8) who don’t like lentils LOVE it I decided to serve it for one of our church night meals. It got RAVE reviews! So it multiplies well (we serve about 200 at each of our meals) and is a great inexpensive way to feed a crowd. We served this with some fresh bread and our usual salad bar and it was very well received. Thank you for feeding our minds as well as our stomachs Shiksa! I also love that I was able to tell the story of Jacob to those who wanted to know where the meal’s name came from! would beet have turned it red? Was beet around? In the article it said, ” Other vegetables included lettuce, cabbage, and cucumbers; carrots and radishes; beets and turnips; and a variety of legumes.” Beets could sure turn it red and would add an earthy flavor. Maybe? Can I substitute green lentils? I’ve made something similar a number of times but must make this -it sounds yum! This was amazing! And so filling. Thank you for sharing! We make this on a regular basis, using bone broth soup as a base. After cutting the meat away from the bones, simmer them with a teaspoon of vinegar per pound of bone to leach the calcium out. After 48 hours, strain the solids out and you have bone broth soup. Add lentils, or barley, or rice, and whatever vegetable is growing in the garden. Add any spices you want. You can even make it Indian by adding garam masala. Thank you, I used this recipe for a huge party. It was a hit. So many requests for the recipe. I have made lentil soup with red lentils and it stayed pretty red. Guess it depends on type. I love to eat foods from biblical times and though I’m not Jewish I honor the people and culture because of my savior. Thank you for this recipe. I found this looking for a stew made of authentic bible ingredients to serve to my women’s group. I just love it. “Give me a bowl of that red stuff”. I love food that is real food. I’m sure this will be a satisfying dish especially served with some rustic bread or pita bread. Just got the recipe, thank you. There are two things I must be very careful about on a celiac and kidney disease diet. Barley is one of them, wheat and rye are the others on the gluten free diet. Lentils are restricted on the kidney diet as well as nuts and seeds, tomatoes (ancient Israelites did not eat them anyway), and apple trees were never in Israel. Tori, a book called Food At the Time of the Bible is a great book to learn about Biblical eating with the plants, the meat that could be eaten and all that good food. It was written by Miriam Feinberg Vamosh. Brenda, I have “Food at the Time of the Bible” and have used it as a source in the past. One of the main research sources for Miriam’s book is Dr. Tova Dickstein at Neot Kedumim, who also contributed her research to this post (I interviewed her in Israel). This recipe should be marked gluten free with modification; there is a very clear modification note before the recipe to replace the barley with rice if you are concerned about gluten. I have corrected the categorization, thank you for pointing it out. This sounds delicious! I’m going to make this tomorrow. I think lemon thyme (a particular variety of thyme) would be a good replacement for the sumac. You’ll get the lemon flavor without the acidic bite of pure lemon juice. I too thank you for this recipe. My son and I are essentially gluten free so the Brown rice is a nice substitute. I am making this for an archaeology class. I like this whole setup. It was also the first place on the Internet that I was able to find an ancient Biblical recipe! I really enjoyed this. I’m trying to get more lentils and beans in my diet again and I eat a bible based diet, because YHWH knows best! I used 3 med to large beets that were very deep red. Remember not all beets give a deep red color. 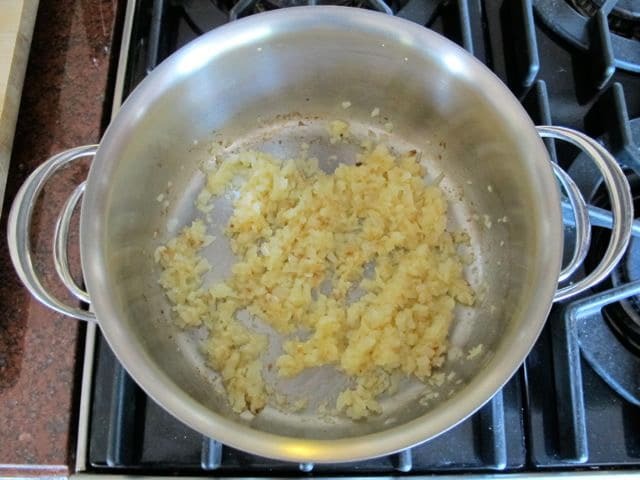 You may have needed to add more, like 4 cups grated. For taste, it is yummy. Oh I used organic Turkish red lentils and red onions too. I added 3 medium red beets grated as well as a inch of tumaric root grated and left out the carrots. Beets were thought of as medicinal and used in pagan cultures in ancient Mesopotamia. Throughout history the beet was thought of the earth’s heart and special qualities in medicine and religion were attributed to it. I bet the lentils were red on account of the beets. I added the barley too but it was most likely barley flat bread that accompanied the fateful meal. The result is both delicious and red. Wouldn’t the stew have been closer to Mujadarra hamra ? Nobody knows what the stew was like, Jonathan, but I have taken my best guess based on the ingredients available to the Ancient Israelites after interviewing a Biblical food scholar and reading several sources. That said, your guess is as good as mine! thank you for this! my son and i are going to try this since we recently covered this story in our studies lol and i always wondered what the stew must have been like. now i have a pretty good idea. 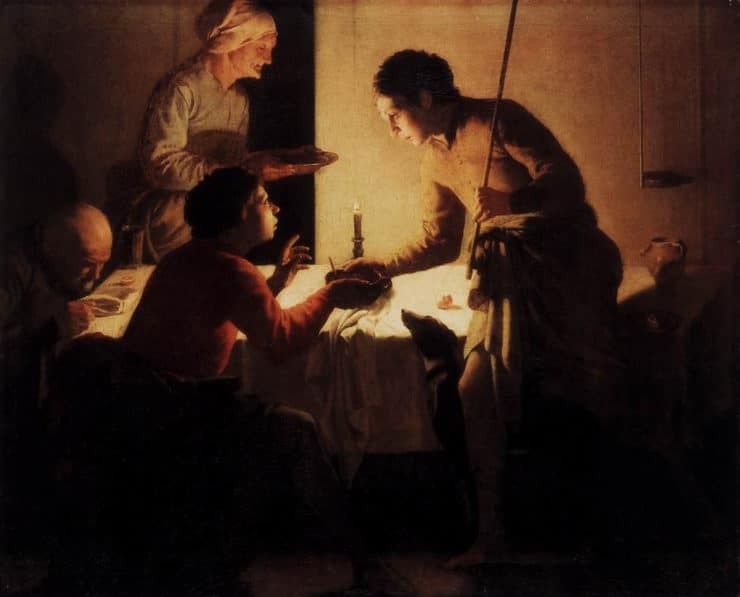 My conclusion therefore, is that if we imagine that Jacob made the stew in the evening as it took a while to make; and with the setting sun and the flickering firelight casting shadows on a pot of what ostensibly was an orange stew – Esau saw the stew as red. In other words, a trick of ancient light. How many beets did you use? I made this with 3 beets, but the color was basically the same as Tori’s original picture. If you use the Red Lentils the stew will really thicken up. Red Lentils are tiny little things, they look orange really, and they dissolve right into anything you cook and thicken it right up. 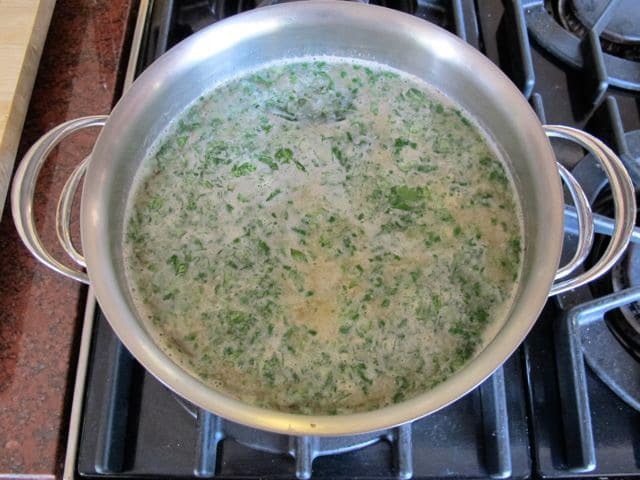 A fantastic and super healthy way to thicken up just about anything! I was attracted to your site because I like the name. I stay because your recipes are thoughtful, creative, ultimately doable. And WOW WOW WOW WOW DELICIOUS! Jacob’s stew elevates the humblest ingredients to rockstar meal. Your figged Brie is sublime. Pumpkin cake coming up. 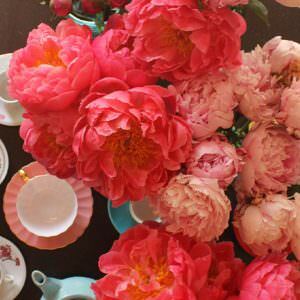 Thanks for the thought, care, pix, variety and sheer richness of your blog (and the ensuing edibles) – you’ve made a difference in my kitchen and home. Thank you. I read an article about King Midas’s tomb. When it was opened gastroanthropologists determined from the residue in the food pots that the funeral feast was a lentil stew made from lentils, either roasted goat or lamb, onions, garlic, salt, and middle Eastern herbs, like thyme. I’d been making this for decades with lamb and all except thyme. I added the herb to make it more authentic. Looks delicious! Can’t wait to try the lentil stew… Thanks!!! 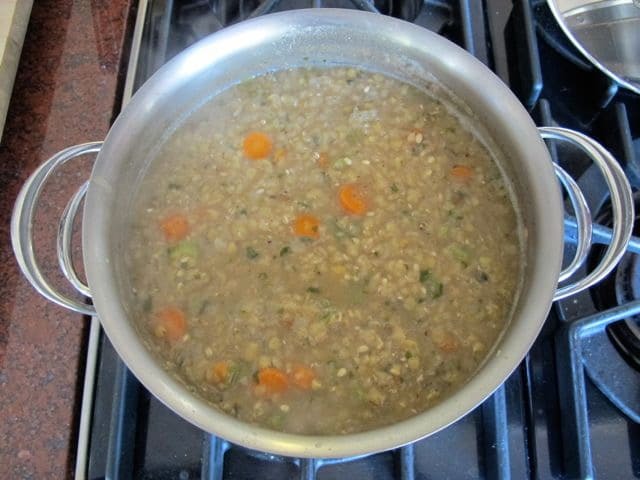 Mine lentil soup is…lentils, onions, garlic, carrots, bay leaf and olive oil. My family loves it. I would like to try yours but don’t have some of those things here. Happy you liked it Chellee! I made this today. 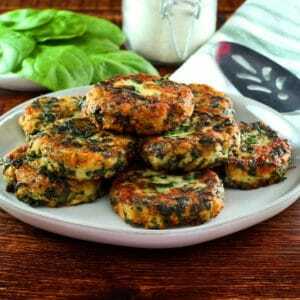 It is healthy, inexpensive, easy to make, smells wonderful, and delicious. Thanks for the recipe! Thanks for the very nice and healthy recipe. 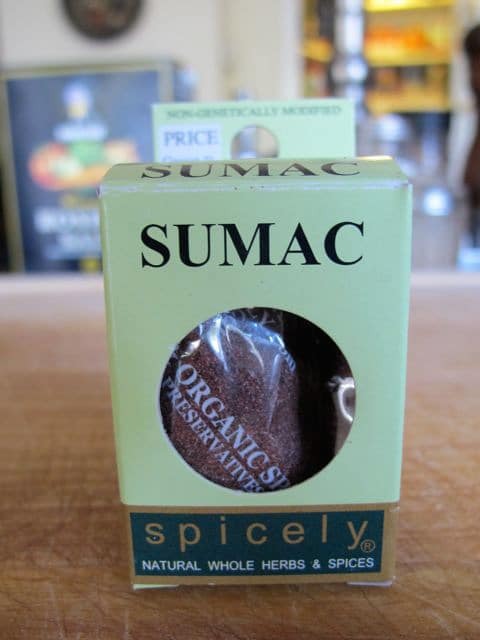 And by the way, sumac works good for a blood pressure. Wow, it took my 5 seconds to fall in loe with your blog. Not only that you tell the story of the recipe, no you descripe it in the finest way one can untill you offer as the recipe. This Shabbat I`m going to have some Lentil Soup. @stella jones: many brands of mashed potato flakes are kosher and parve, including Idaho and Betty Crocker (I believe). Others are kosher dairy, which is only an issue if you are using chicken broth. Ok sweetheart, I’d give my birthright for the recipe of that rye bread pictured. The crock pot worked great! I set the timer for 3.5 hrs and it switches to “keep warm” when it’s done. My pot also cooks on the hot side. The lentils were still in tact and actually could have been a bit more done. There was still plenty of liquid. I was not able to find pearl barley so added large creamy couscous when I got home. I had also added 6 boneless, skinless chicken thighs. I shredded them and put them back in the stew when the couscous was done. It was fabulous! Great lesson! I am making a variation of this tonight for a wintry shabbos evening! This sounds like an excellent recipe. My employer thought that is looked good and suggested I bring it to the office so everyone could enjoy a great soup. Tori, Do you see any issue with using a crock pot for this? 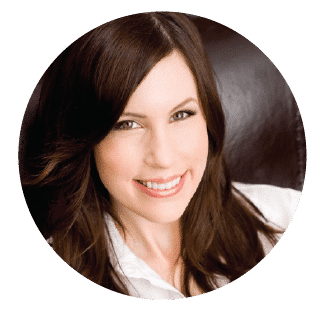 Us working moms need all the help we can get! Sandi, a slow cooker should work fine, although I’m not sure on the timing… it can sometimes take quite a long time for lentils to firm up. If I have a chance to test it I will report back and let you know! OOH!! I love lentils and can’t wait to try this recipe out. I don’t know why I never thought about making the lentil stew that Jacob made. This sounds SOO good! This was a really interesting history lesson. I’ve been making this stew for years and never knew I was using ancient ingredients. I’ve never used hyssop or sumac and I’m going to try to find them. Thanks for sharing so much information. I really liked the picture of your Bible time meal. Looks like you had a good time. I’ve got some mixed lentils, (different types all together) and I’m going to try it with that! Thanks!! You are so full of love and your dishes reflect this love. Thank you. Thanks for giving me an alternative recipe that sounds marvelous! I can’t seem to find one that satisfies my Greek husband, but I’m going to give this a whirl. The history lesson was wonderful! Thank you for this delicious-sounding recipe — it sounds like a perfect use for some of the hyssop in my garden! I love eating lentils. They are full of protein and very low in fat. Priced right too. How often do you hear that? Thanks. I’ll try it soon. Glad you all enjoyed this blog! This history behind the food is simply fascinating to me. Stella, there are potato thickeners out there that are kosher, so you could definitely use them in a kosher version of this dish. Just curious, if beets were grown in the area and at that time, could they have been a factor in making the stew the reddish colour? Thanks for including gluten free options. I lime the idea of brown rice to replace the barley, I probably would not thought of that but can’t wait to try it! I’ve been making lentils for as long as I can remember. And my mother use to make them for us as little kids. My kids love them and in my country we eat them a lot. It looks like agreat recipe to try. Oh wow! I never thought about how to make the historic stew. It looks fantastic, and easy to achieve. I have to say, there is something in me that says I am meant to be a Jew, and as I have been researching and delving into Judaism, it gets stronger every day. Thank you for feeding the foodie bit of that! so much like my own recipe that I used for the last 45 yrs except for the barley,sumac,and cumin.However I do use parsley.I know it is not kosher but when I wanted my lentils thickened into a more stew like consistancy (and I do this for my potato soup as well)I use some mash potato flakes.Before I would use a bit of rhue or some cornstarch.Thank you for the history lesson too.This was a most interesting blog today.